Corel Paint Shop Pro is a powerful bitmap and photo editing software package. The program was initially developed as shareware by Jasc (and was initially known as "Paint Shop"). The first beta version of the program was released in 1990, and the first full version 1.0, was released in 1992. In 2004, Jasc was acquired by Corel Corporation, and the software became known as Corel PaintShop Pro. Since the Corel acquisition, versions of the program have been released under various variants of the name, i.e. 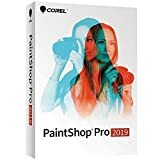 "Corel PaintShop Pro", "Corel PaintShop Photo Pro", and "Corel PaintShop Pro Photo". At the time of writing, the latest version of the program is Corel PaintShop Pro X4, which was released in September 2011. Early versions of PaintShop Pro were quite basic, by overtime the program has evolved to include more and more sophisticated functions, including support for layers, vector drawing tools, and plug-ins (add-on modules that enhance the basic capabilities of the program with extra functions). 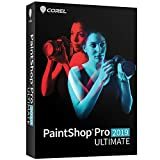 Corel Paintshop Photo Pro X3 Video Tutorials Teaches You From Beginner To Advanced Photo Editing Tips, Tricks And Techniques. 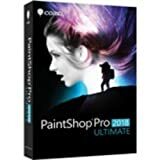 PaintShop Pro 2019 Ultimate is your affordable, subscription-free choice for professional photo editing and design, with every new feature inspired by user ideas. It’s the user-friendly alternative to Photoshop. Experience a faster, more robust PaintShop Pro that’s easier to use, and more creative than ever. Tap into an exclusive bonus pack of premium particle brush, animation, painting and photo software, including ParticleShop, PhotoMirage Express, Painter Essentials 6, Perfectly Clear 3.5, and Corel AfterShot 3. And keep the creativity going with a separate collection of brushes, textures, and backgrounds. With six powerful applications in one complete package, you can’t beat this kind of value. Paint shop Pro 2019 is your user-centric alternative to photo shop, with every feature inspired by user ideas. Make compelling compositions and photo adjustments, or create impactful design projects using a complete set of professional image editing tools. With creativity at its core, paint shop Pro 2019 offers impressive new creative content and applies artificial intelligence and deep learning to deliver innovative new artistic presets. Thanks to community input, we've made over 50 performance improvements for faster photo editing, quicker cropping and better support, and we've focused on simplifying paint shop Pro for the best possible experience.